A KLM Boeing 737-700 (PH-BGK) and a Transavia Boeing 737-800 (PH-HXF) were involved in a serious airprox incident at Amsterdam-Schiphol International Airport, the Netherlands. 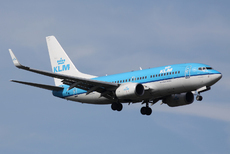 KLM flight KL1080 was approaching runway 18C for landing when the flight crew executed a missed approach. Simultaneously, Transvavia flight HV5193 to Paris-Orly, was departing from runway 24, causing a loss of separation. KL1080 turned right while HV5193 turned left to avoid. The Dutch Safety Board reported the horizontal separation was about 1000 m while the altitude was about the same.